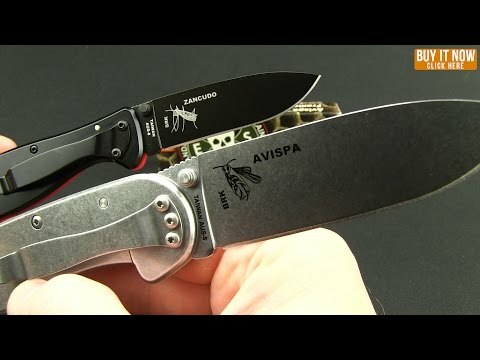 The Avispa folding knife, like the Zancudo, was designed and is fully endorsed by Mike Perrin and Jeff Randall of ESEE and Randall's Adventure & Training (RAT)! 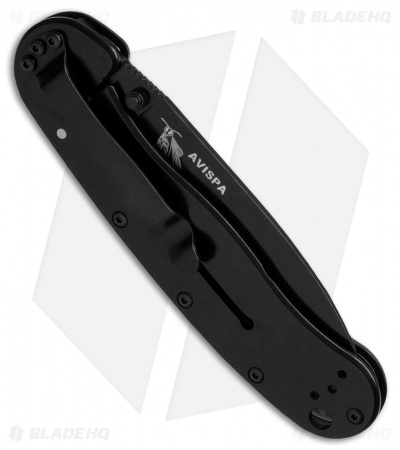 Avispa is the spanish word for wasp and features a proven blade shape that you'll recognize from the Laser Strike fixed blade. 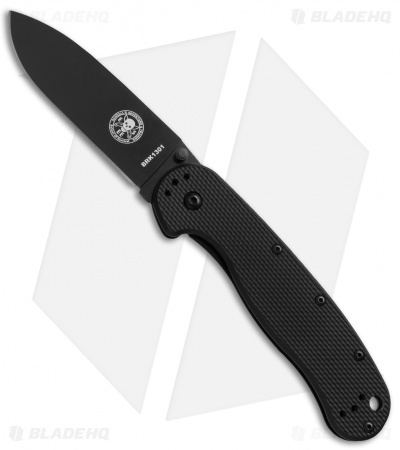 Similar, but larger in size to the Zancudo, the handle is outfitted with a molded polymer front and steel frame lock back with 4-way reversible pocket clip. Pros: Thin, Light knife for a knife of its length. Good strong blade that’s kept its edge nicely. Multiple options for clip placement. G-10 handle masks a stainless frame underneath for added strength. Cons: Verrrry cumbersome to unlock the knife blade to put away. Hardest of any knife I’ve owned. The black paint on the back of my knife is chipping off pretty significantly.